Kevin Smith Transportation Group is a Luxury Transportation company that services the entire Greater Philadelphia, PA area. KSTG delivers services daily in Bucks, Chester, Delaware, Montgomery and Philadelphia counties. This includes more than 300 cities, towns, boroughs and townships across the area. 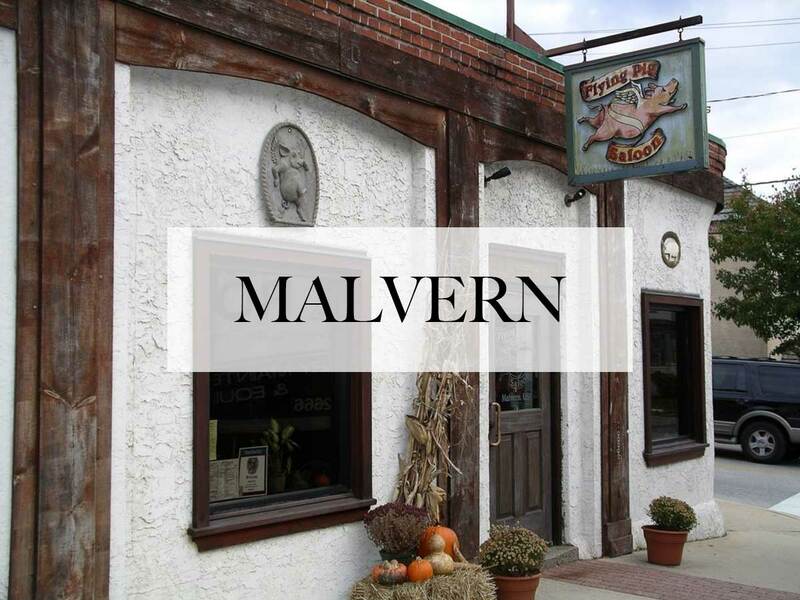 One of the places a KSTG vehicle will regularly service is Malvern, PA.
Malvern is a borough in Chester County, PA. It is twenty-five miles west of Philadelphia. The population is approximately 2,998. The town is bordered by Paoli Pike on the south, Sugartown Road on the west, Willistown Township on the east, and the East Whiteland Township on the north. It is south of US 30 and easily accessible to Route 202. The main road through the Borough is King Street, intersected by Warren Avenue. The Malvern, PA ZIP code covers the Malvern Borough, and all or parts of East Whiteland, Charlestown, Willistown, East Goshen, East Pikeland, and Tredyffrin Townships. Malvern Borough is between Paoli on the east, and Immaculata University and Exton on the west. It is also a train stop on the SEPTA Paoli/Thorndale Line. The area was originally settled by Welsh immigrants in the 17th century who bought land from William Penn. Malvern, PA is the site of the Paoli Massacre, which occurred September 20, 1777, during the American Revolutionary War under the command of General Anthony Wayne of nearby Easttown. In 1835, the East Whiteland Baptist Church moved to what is now its church and cemetery property, bounded by Channing, South Warren, and East First Avenues, and Roberts Lane. Changing its name to the Willistown Baptist Church, this institution then became the First Baptist Church of Malvern in 1900. The church, trains, and a few businesses were the nucleus of this village. Known for a long period as West Chester Intersection, the town’s name was changed to Malvern in 1873 when the Pennsylvania Railroad straightened its tracks through the village. In 1879, the Malvern Friends Meeting was built at the northwest corner of Woodland Avenue and Roberts Lane, followed by the arrival of the Presbyterians and the Methodists prior to 1900. Malvern Borough has a mix of residential styles and neighborhoods, retail and industrial businesses, dedicated open land, and numerous civic, cultural, and religious organizations. Malvern was incorporated August 13, 1889, having separated from the northern portion of Willistown Township. On April 22, 2008, the Borough converted to a Home Rule form of government. In addition to the Paoli Battlefield Site and Parade Grounds, the Wharton Esherick Studio was listed on the National Register of Historic Places in 1973. It was designated a National Historic Landmark in 1993. No official origin to the naming of the Borough of Malvern remains, although several theories abound. The most common suggestions are Malvern Hills in Worcester, Great Britain and Malvern Hill in Virginia. As the Malvern in Pennsylvania is itself raised above the surrounding communities, it is possible either location in Britain or Virginia could have been the influence, but the truth is lost to history. Given that the original settlers were Welsh, Malvern is more likely named after the British location. Kevin Smith Transportation Group delivers both Leisure and Corporate Transportations services in Malvern, PA. KSTG’s Leisure division will often be seen sending out a Wedding Limo or Wedding Shuttle on most weekends. Service requests for a Limo or Party Bus for a Night on the Town or a trip to Philadelphia, PA for a concert or show is very common and popular for those who live in Malvern, PA. The exciting requests for a Party Bus to the Manhattan Cruise Terminal or a night out at the casinos makes for a great night. If you are fortunate enough to work for one of the amazing companies in Malvern, PA, then you may require the services of Kevin Smith Transportation Group and our Corporate Transportation division. Airport Transportation is a common service request with Philadelphia International Airport (PHL) located so close to Malvern, PA. However, with nearly a dozen International Airports in the Mid-Atlantic area, many companies will utilize KSTG’s services for Airport Transportation to Newark international (EWR), Kennedy Airport (JFK) or other points north or south of the Philadelphia, PA area. Other Corporate Transportation services that Kevin Smith Transportation Group offers companies in Malvern, PA include Shuttle Services. This may be needed for moving employees to local SEPTA stations for both their morning commute and returning home in the evening. KSTH Sprinters and Mini Buses are popular vehicles for this service. Some companies, with offices or clients around the country, often have employees traveling through local FBO’s. When Private Aviation is utilized, KSTG Cadillac XTS’s and Black Yukon’s are often seen transferring employees from their offices in Malvern, PA to those local FBO’s including Northeast Philadelphia Airport, Doylestown Airport and Wings Field. Many companies in Malvern, PA have been pushed by their Senior Management or Counsel’s office to follow strict Duty of Care requirements with their employees. This means that the days of using an unregulated Black Car Service for Corporate Transportation services is no longer allowed. For Kevin Smith Transportation Group, this means that our Black Car Service division, including our fleet of Cadillac XTS’s, Black Yukons and Black Infiniti’s, are regular visitors to Malvern, PA. The entire team at Kevin Smith Transportation Group is proud of our partnership with every company, venue and person from Malvern, PA who chooses KSTG as their #1 Transportation Company. We believe our priorities around luxury helps us deliver our services for everything from a once in a lifetime Wedding celebration to supporting our Corporate clients who require use of our Shuttles and Sprinters for a company event. With Malvern, PA and KSTG working together, we are confident KSTG vehicles will continue to support the entire area for years to come.